“Ava is my nature girl,” said Coonts, chuckling. Last year, he had found a collection of rocks beneath her mattress while disassembling her bed to move it to their new home, in the aftermath of his divorce. 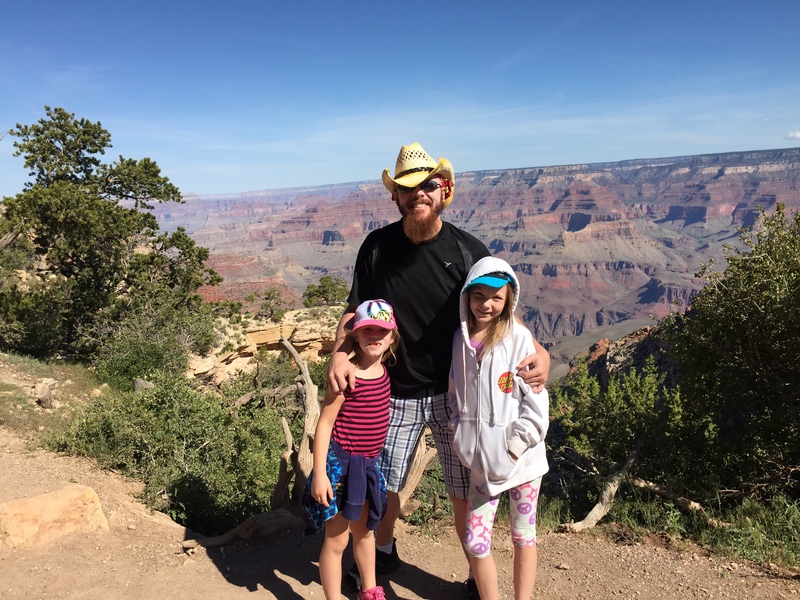 His daughters now live with him during the school year and spend summers with their mother on the East Coast, and the Grand Canyon trip is just one of many activities Emma and Ava regularly plan with their dad. It’s an idea Coonts picked up from his participation in a program offered through Arizona State University to help parents and children cope after separation or divorce. Free of charge, the New Beginnings Program is one of several evidence-based prevention interventions developed by social scientists at the ASU REACH Institute to help children and families in stress. Coonts had learned about the program during a court-required one-hour parenting class. Space was limited, he recalled, so he put his name into a drawing. His first session of the program started March 4, 2014. It just so happened to be the day of his wedding anniversary. The New Beginnings Program is a direct product of 30 years of research at ASU. Developed by ASU psychology professors Sharlene Wolchik and Irwin Sandler, the program is based on their studies of outcomes of children who undergo divorce. New Beginnings gives parents and youth ideas and skills to cope with the changes that come with family separation, and the program shows benefits to youth well into adulthood in terms of improved mental health and fewer behavior issues. Coonts said the program has had a positive impact on his family and has helped them adjust to their new life. Coonts’ story is reflective of the REACH Institute’s impact in the community. Formerly known as the Prevention Research Center, the ASU REACH Institute (Research and Education Advancing Children’s Health) is entering its second year under a new name. The name change signals a point of departure from an old way of doing science, said Thomas Dishion, its founding director and developer of the Family Check-Up, one of the institute’s most widely disseminated programs. “Evidence-based practices have the potential to make a meaningful public-health impact, but the problem is that a lot of organizations designed to help families and children aren’t using them,” said Dishion, who is also a professor in the Department of Psychology, within ASU’s College of Liberal Arts and Sciences. Dishion and his fellow researchers estimate that a whopping 90 percent of scientifically proven programs – programs supported by more than 25 years of NIH-funded research – are not being used. “Many community agencies don’t have the resources, the training or the experts to help them develop their practice,” he said. The disconnect Dishion sees between university research and the needs of the outside community has helped point him and his colleagues in a new direction. “Our name stems from our new focus on outreach,” Dishion said. “We realized we needed to do a completely different kind of science with a new set of strategies. The question has become a guiding force for REACH, which now boasts a growing number of local, state and national partnerships, including one with the U.S. Air Force, which implemented the Family Check-Up last spring to help families cope with the unique challenges of military life. Air Force service providers were trained by REACH staff in how to implement, evaluate and sustain the Family Check-Up program for its clients. Online tools for measuring data and monitoring clients were also provided by REACH, as well as access to their experts. The institute has also forged partnerships with community health agencies, state court systems, primary care, schools and the State of Nevada. The institute’s new direction is well aligned with ASU’s focus on use-inspired research and community embeddedness – part of what drew Dishion to ASU in the first place. “I’m inspired by the ASU story and the vision President Crow has for the role of the university,” he said. The communication and parenting skills Coonts learned throughout the 10-week New Beginnings Program now feel natural to him, he said. The experience has also helped him learn more about his daughters, their personalities and quirks and, most importantly, their needs. “Catch ’Em Being Good” and “One-on-One Time” were among the strategies Coonts discovered worked well. The first involved consistently praising his children for good behavior and the latter offered 15 minutes of undivided attention to each child once a week. The idea that mental-health disorders can be prevented, in the same way that one can prevent the onset of diabetes or heart disease, is relatively new. In fact, the history of prevention science is rooted at Arizona State University, where one of the earliest NIH-funded prevention research centers was founded in 1984 by Sandler. It was called the ASU Prevention Intervention Research Center, or the PIRC (“perk”) as faculty warmly called it. With continued NIH support, the center grew. New projects joined, and research directions changed, becoming more inclusive and relevant to diverse communities. By 2010, the question of whether preventing mental-health problems was possible had been answered to a scientific certainty. ASU researchers had found reduced rates of depression and substance abuse in young adults whose families had participated in ASU prevention programs as many as 15 years earlier. The group of divorced fathers Coonts met with every Tuesday night at Mesa Community College, where the program was administered, became a close-knit community. For Emma’s ninth birthday, her father gave her a graphic novel – a compilation of 1,000 pages of text and images she devoured in just 6 days. As for Ava, she would much rather be outside exploring, he said. 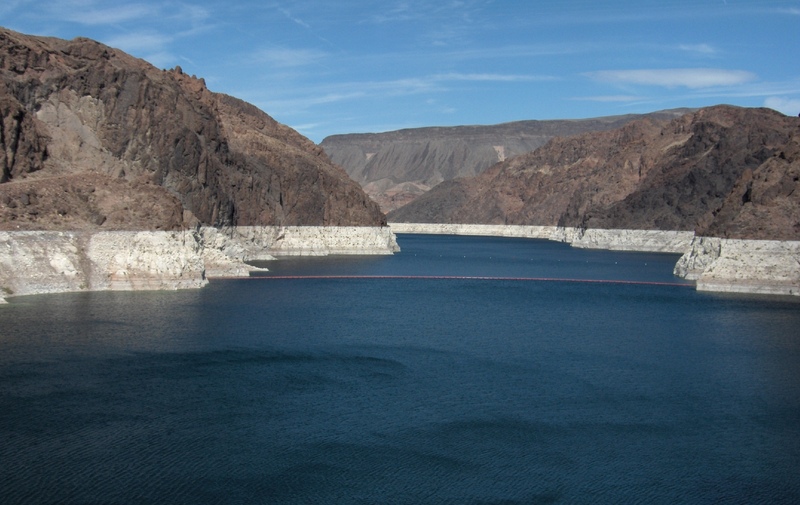 In the grips of long-term drought, cities that rely on Colorado River water face unprecedented challenges. A new National Science Foundation award will allow decision makers of those cities to take advantage of ASU's Decision Center for a Desert City.